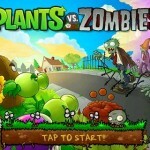 The wildly popular game for PC and Mac has come to the iPhone. 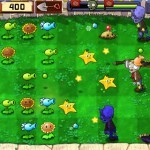 Plants vs. Zombies hit the App Store early last week and it’s no coincidence that it was released roughly the last time I wrote here. 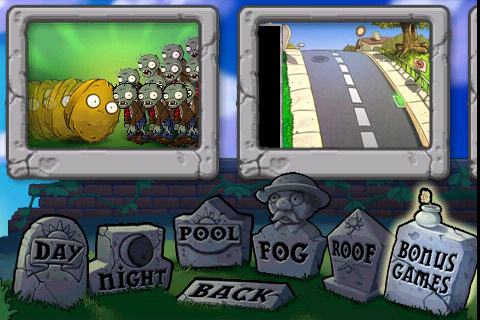 I’ve been spending a significant amount of time playing this game, which is good and bad. 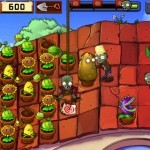 The game is fantastic, it’s a kind of tower defense game in which you build plants that fend off your house from zombies. 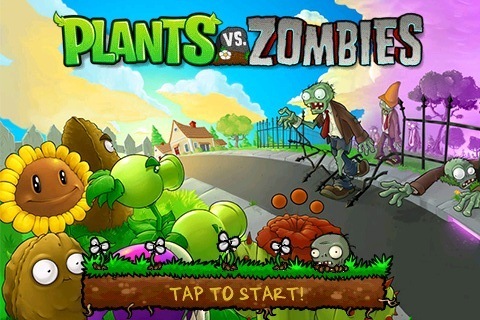 This game might be too good, it’s one of those games that you download, start playing, and the next time you look up three hours have gone by. 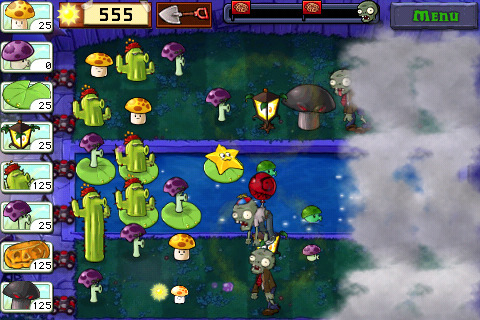 The game is developed by PopCap Games, the same guys who brought you Bejeweled and Peggle. 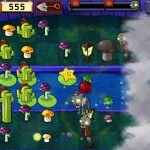 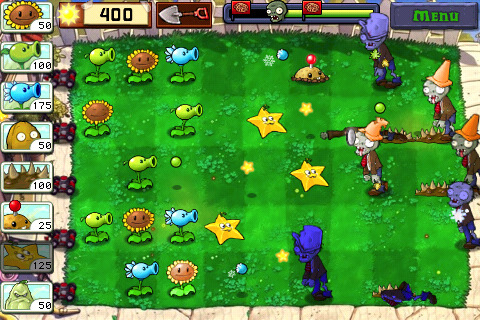 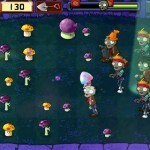 Plants vs. Zombies is fun, addicting, and challenging. 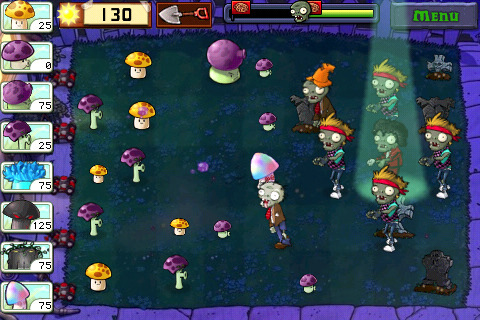 The controls work perfectly — this is exactly the kind of game that works well on the iPhone. 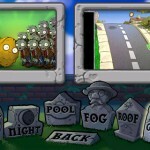 My only gripe is that you have to complete adventure mode before quick play is unlocked. 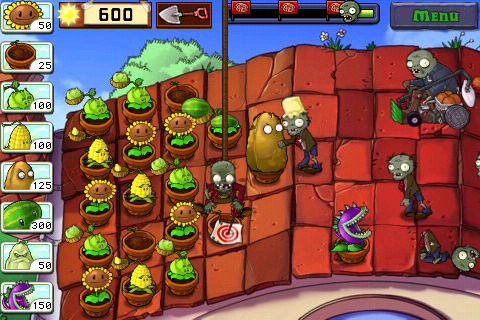 But, aside from that I suggest you pick up the game, unless you’d actually like to get work done over the next week.